We departed for London Wednesday morning via the Eurostar. We both really enjoyed our Eurostar experience, and if you ask me, it is so much better than flying—less stress, quicker (when you factor in airport wait times, not to mention delays), and more confortable. I couldn’t believe how quickly we went through the Chunnel, just 20 minutes! Not only is the train more comfortable, you arrive in the center of London (so much better that Gatwick) and it is fairly easy to grab a tube to your hotel. We had quite a few bags, so we opted for a taxi. After settling into our hotel, we hit the ground running, since it was already the afternoon by the time we arrived and got settled. 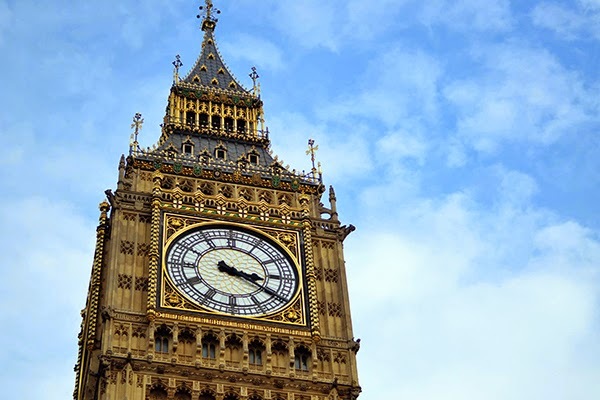 First on the agenda were Big Ben, Parliament, and Westminster Abbey. Of course, Big Ben never disappoints. I am pretty sure it is the image everyone envisions when they think of London. We were especially lucky to have a bit of blue sky, which can be something of a rarity in London this time of year. 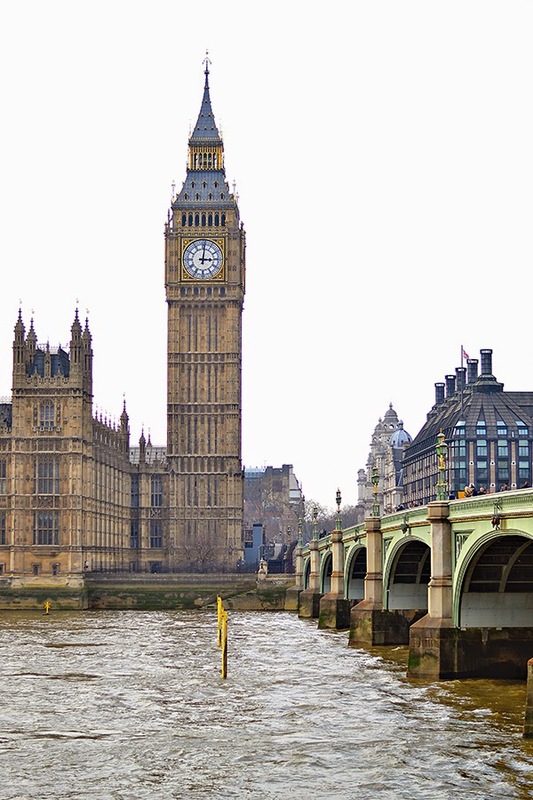 I think the best place to capture Big Ben in a picture is across the river on the west side of the bridge. This spot give the best view the tower and adjoining parliament building. Of course the London Eye also gives great views of the city, but I have never been a fan. The wait times are ridiculous and it’s incredibly over priced. 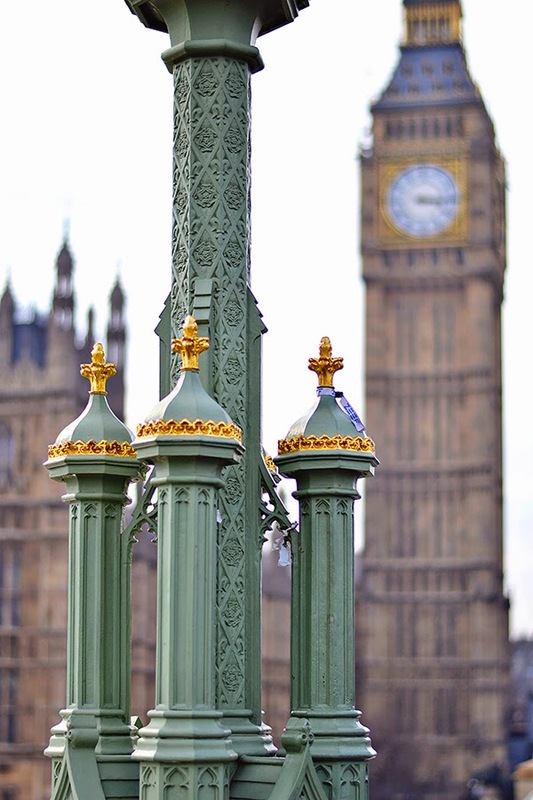 Following a photo session with Ben, we headed west to Westminster. 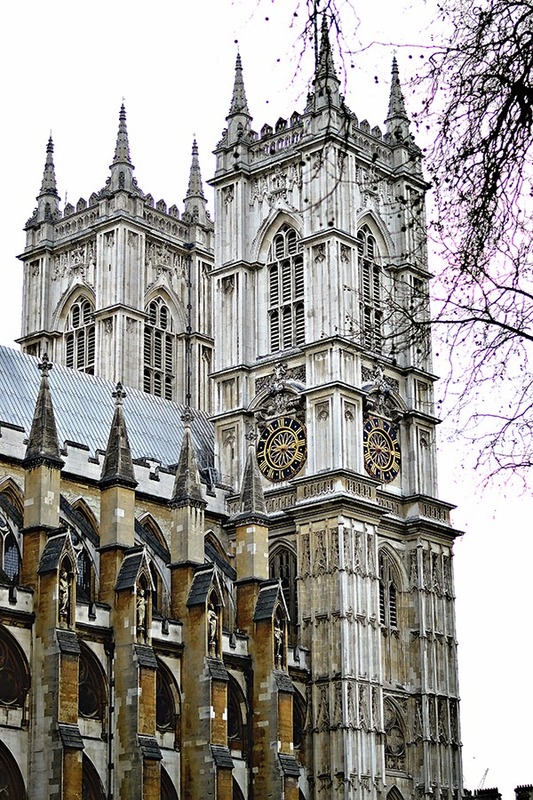 I love Westminster Abbey; it is a beautiful church with so much history. For almost a thousand years, this church has served as the coronation and burial site (and more recently the marriage venue) for English and, later, British monarchs. As the sunlight started to fade, we made our way to Piccadilly Circus and Regent Street. Piccadilly Circus is a circus (ha!) but it is like Times Square, you have to see it. We also indulged in a little retail therapy along Regent Street. I finally got my J.Crew fix (there are now 5 in London)! Unlike Paris, however, the J.Crew in London has the same price point (although it’s pounds not dollars, so you are still paying more). While I wanted to buy the store, I behaved myself and just purchased a dress. After a bit of shopping we found a nearby pub, the White Lion (very good), and downed a pint. Well, Nicole downed a pint, I sipped prosecco. That evening we stayed in at the pub attached to our hotel (The Mad Hatter, another great hotel find) and chatted with some locals and tourists. Apparently Swiss people think most Americans are not very intelligent, but that could have been the beer talking lol. All in all, it was a great first day in London. Cheers! Gorgeous photos, yet again! I'm glad you enjoyed your first day in London! When I was there in May 2013 I was with my aunt who was working on our family genealogy and while we were in Westminster Abbey we were able to enter the library and the people working there helped us to look up one of our distant relatives who was an organist at the Abbey. It was really neat, and definitely something I wouldn't have even thought of had I been there without my aunt. I have never been to London but have always wanted to go!!! Seriously loving these photos, they are making me want to hop on a plane asap!! Absolutely gorgeous as always! I love London and hope to study abroad there in college! 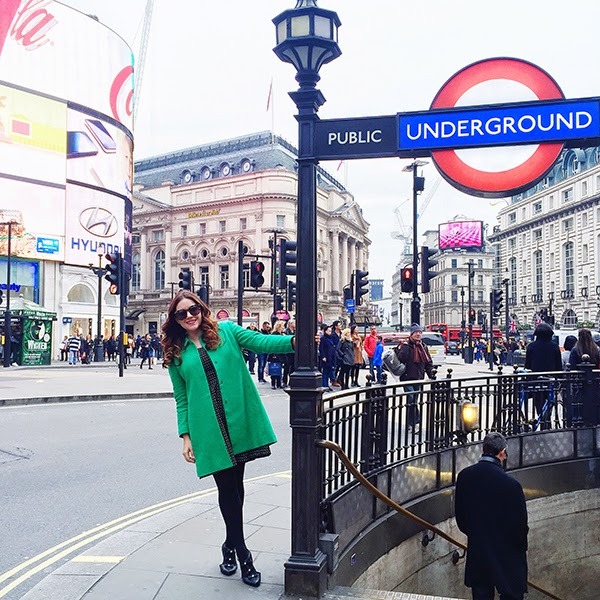 Love London, love that green coat on you! We just returned form London too. We've taken a lot of the same pictures – obviously these are the high points of a trip to this marvellous city! We had a mix of grey and blue skies while we were there – but no rain! It looks like you were just as lucky. Looking forward to seeing more of you outings on your weekend trip. Beautiful pictures – you both have some serious hair game! 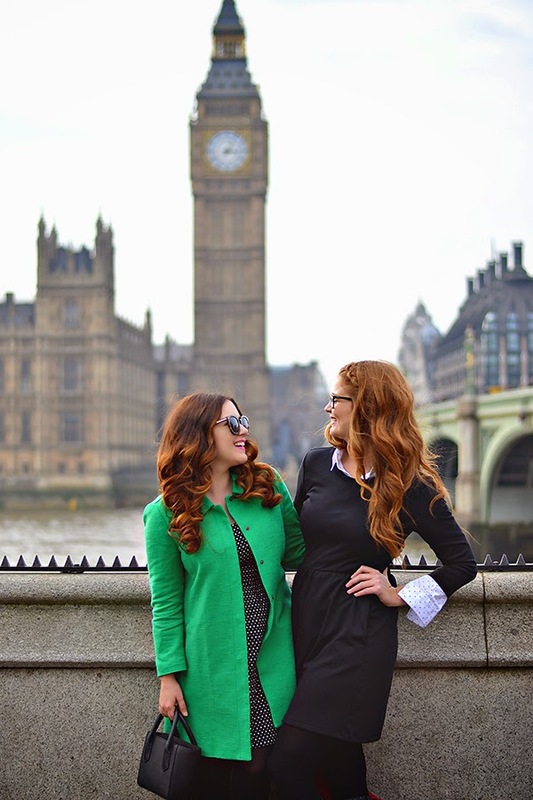 This is our exact itinerary for our 1 day layover in London this summer. I haven't been in about 15 years, but London is one of those cities that doesn't seem to change a lot. Such great pictures! 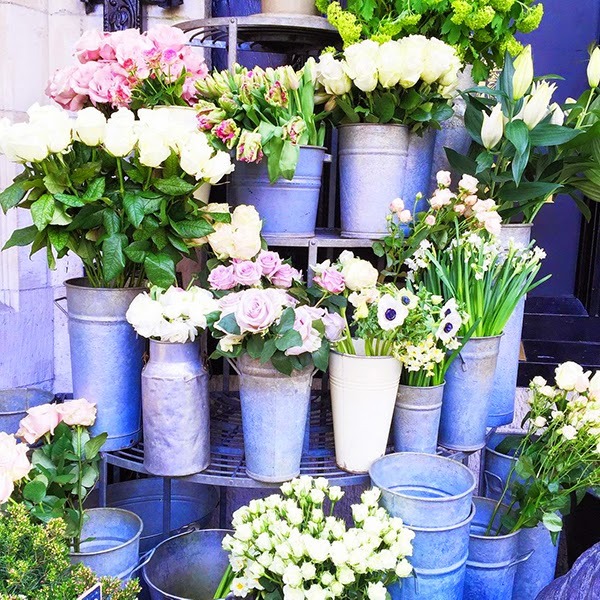 It's been a while since I've been to London but I would love to go back and visit the Portobello market and stroll through Nottting Hill to admire the pastel colored houses- swoon! Also, what Nikon lenses do you use? I have a camera similar to yours but I would love to know what's your trick in taking beautiful pictures! What is the transportation situation like in London? I am considering spending a few months there in the Fall/Winter, and I'm curious as to wether I'll be walking a lot of taking public transportation more! Yay! On my way in a month! Looking forward to all your London posts. That is amazing, what a connection! It is my new Amika curing wand. That thing is magic and we both used it while we were traveling. I can't wait to hear more about your adventures this summer (and I will email you back about the conference tonight!). It is a Nikon 50mm f/1.8G AF-S NIKKOR FX Lens. I love it! It is a static lens (no zoom) so that takes some getting used to, but the color, clarity, and depth of field are great! I love the Tube (their metro/subway)! You can get anywhere you need to go with the tube or busses. It can seem complex at first, but you will get the hang of it. Buy an Oyster card when you arrive, which lets you pay as you go. For three days I spent 20 pounds on transport. You can walk London, but it is large and you may not always have the time or energy. I recommend a nice balance of both!